I’ve been sharing everything I learned about healthy living with everyone around me for years. At the time, I didn’t know what a blog was, but I guess it was just a matter of time before I started my own. My main goal is to share the information I learn, and get people thinking about their every day actions and the impact on our health and the environment, especially eating! 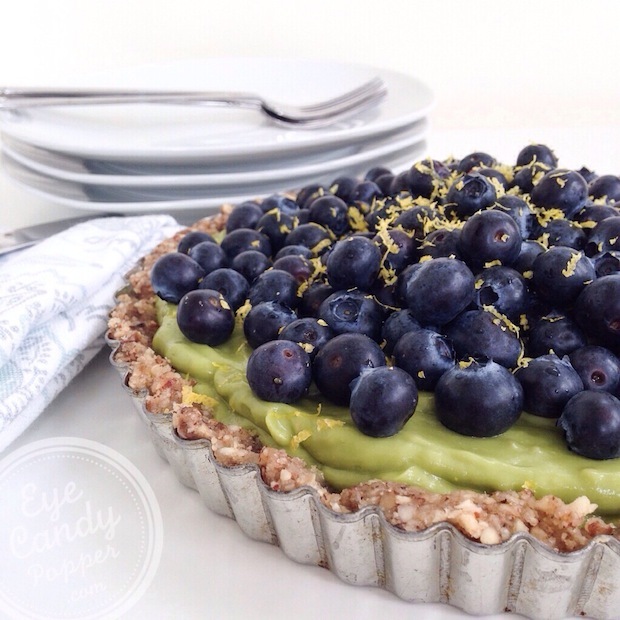 I created this name (Eyecandypopper) in my head without knowing what to use it for, until I decded to start a blog. The “eyecandy” represents the appeal, the beauty of whatever I’m talking about, but the “popper” represents my personality, and the somewhat "shocking" factor. I like to surprise people, for example, showing them that eating healthy doesn’t have to be bland or boring, or even restrictive, that it can be pretty on the eyes but also super healthy. Although most of my posts revolve around food (I love to eat), I like to talk about all aspects of a healthy lifestyle, to show people that eating healthy is just one side of living a healthy life. I like to encourage people not to be afraid of trying new foods. I love it when a reader tells me they've tried a new food for the first time because of one of my recipes! 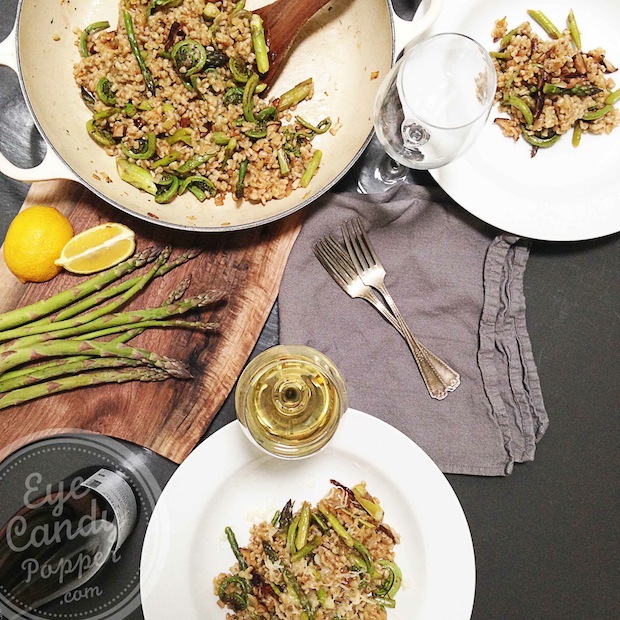 Probably my barley risotto with asparagus and fiddleheads recipe I shared a couple of months ago. I never really understood why it wasn't more popular. haha It was so delicious! Which post’s success surprised you and why? 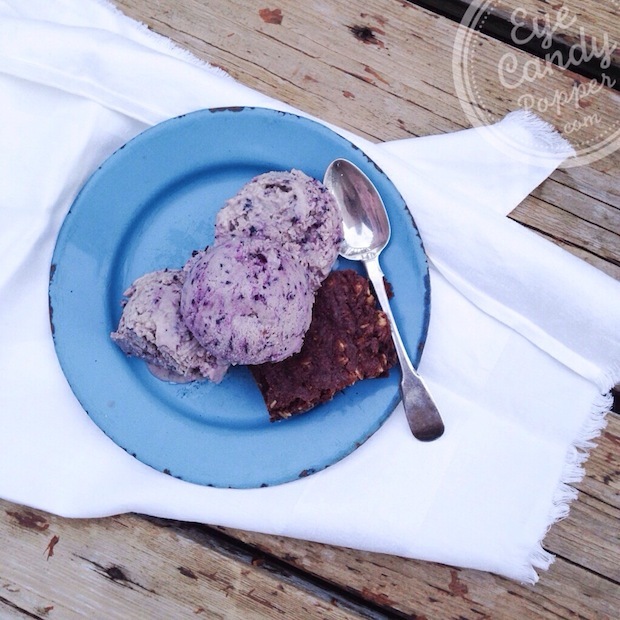 A few posts surprised me, but the one that surprised me the most recently is my vegan no-churn coconut-blueberry ice cream! It's as healthy as it gets, can be made in just a few minutes (not including freezing time), and tastes delicious, but I wasn't expecting to grab so many people's attention! As embarrassed as I am to admit it, probably my iPhone, which has become an extension of my arm on occasion, I use it to snap pictures, process them, and of course, stay on top of all my social media. I don’t think I’d be able to do it all without it! Because I live in a small 850 sq ft house, space is always at a premium, so I don’t use a lot of kitchen gadgets, but of course, I could not live without my juicer, which I use almost every morning during the winter. Although I rarely eat the same food twice in the same week, I've always been a fan of fries and roasted potatoes! My favourite is a very simple recipe I make often for brunch on the weekend: Oven-roasted potatoes and veggies with Herbes de Provence. It goes perfectly with poached eggs! So delicious and simple, yet healthy. I think my “About me” page covers quite a bit, but something I never mentioned is that as a teenager, I wanted to be a lawyer, but since the law program I applied to was full, while waiting, I got into a Communication, Literature & Media program. Little did I know, it completely changed the direction I was headed in and helped me to be where I am today, working as a freelance copy editor and translator, on top of being a blogger, a much simpler and less stressful lifestyle that I enjoy. I guess the lawyer in me is always there though, willing to defend what I believe in, or the ones without a voice. Thank you for showcasing the brilliant EyeCandyPopper. I have been following her blog since the beginning, trying her delicious recipes and reading her well-researched articles. I hope her appearance here will help many more readers find her wonderful blog!